Today’s population of children and adults with learning disabilities — autism, Asperger’s, ADD, ADHD and Down syndrome — is growing. Recent research shows that the average lifespan of a person with Down syndrome in the U.S. is approximately 60 years. That’s an increase of 35 years since 1983! Autism has increased 289.5 percent, ADHD 33 percent and developmental disabilities 17 percent in the last 15 years. The population is not only growing but getting older, so they need the same day-to-day life skills everyone else needs to be functional. 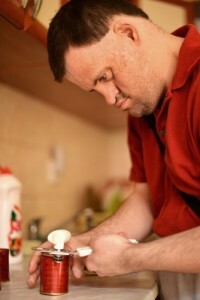 Learning basic life skills like cooking is essential to functioning better as an adult and becoming independent. Here are six steps and helpful hints to teaching life-skills cooking. The recipe for success when teaching cooking calls for consistency, repetition and patience, with a large dash of humor. I recommend breaking this down into two days. Cooking should be fun, not overwhelming and stressful, so devote the first day to equipment and the second day to ingredients. 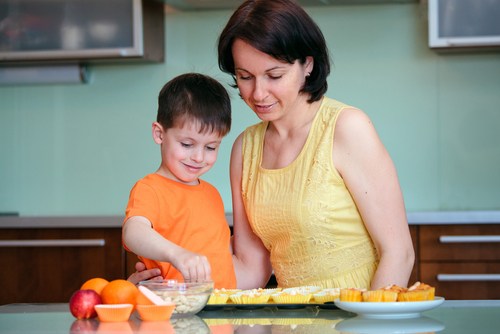 Work together with your child to make decisions about the kitchen setup. 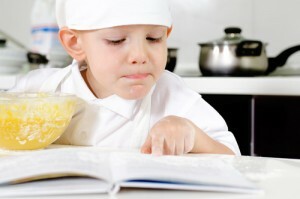 This will help your child stay focused and know how interested you are in their learning to cook. 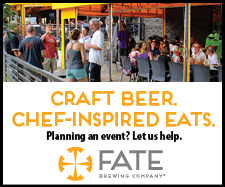 Day One: Take a tour of your kitchen, focusing on equipment used for cooking. Show your child where to find the utensils, pots and pans, mixing bowls, measuring and mixing spoons, cutting board, paper towels, toaster, microwave and blender, and don’t forget the refrigerator. A refrigerator’s many compartments can be confusing. Arrange things with your child so they feel part of the process and know their input is important. This reinforces your interest in their learning to cook independently. If you’re excited, they will be excited. Ask yourself, Can everything be easily reached or moved? Are the paper towels hard to tear from their holder? Are the mixing bowls stored in a stack, making it difficult to get the right size? A cutting board with a rubber backing is safer and easier to use because it won’t slip on the counter. *Depending on the child’s ability, should the knives be stored in a different location? For safety reasons, I always use plastic knifes for cutting during my cooking lessons. Choose metal measuring spoons with clearly marked measurements that include 1/8 teaspoon. Metal dry measuring cups with long handles and clearly marked measurements are best. They last longer than plastic, and the measurements won’t wash off. Day Two: Take a tour of your kitchen, this time focusing on cooking ingredients. Start with the refrigerator. Point out the milk, eggs, butter, juice, etc. Next, show where the dry ingredients, spices and oils are stored. Again, ask yourself, Can everything be reached or moved easily? You don’t want your child frustrated trying to reach something or read a label. To make it easier to lift and pour from large containers, store your ingredients in smaller, lighter containers. To make it easier to scoop and level dry ingredients like sugar, flour, salt and pepper, store them in wide, covered containers. Store spices in a shoebox or similarly shaped container. This is easy to put on the counter to see which spices are needed. Start with the most common ones like salt and pepper and add to the box as you go along. Remember to arrange things with your child. It is so important for them to feel a part of the setup. It does take patience and time, but it’s vital to your child’s successful independence in the kitchen. This may seem like a simple step, but it can take time to find a recipe that has few ingredients (no more than four to start), step-by-step directions, and a colorful picture. Ideally there should be only one recipe on a page, and it should list the equipment and ingredients needed. Having the right recipe to start with is important. 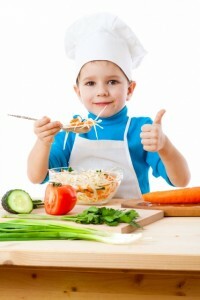 You want your child to be excited about the recipe they are cooking, and you want your child to have a successful experience. It’s good to start with one very simple recipe and prepare it a few times until your child can do it alone. Try starting with a smoothie or trail mix that can be made quickly and enjoyed. Read the recipe with your child. You may have already done this when you were looking for the recipe, but it will help them focus on their task. Reading the recipe before starting will also allow you to go over any questions. If your child has difficulty focusing on the ingredients or equipment, cover the recipe with a piece of paper, leaving only the part they are working on showing. Move the paper as you go. Again, to help your child focus on one step at a time, you can use a piece of paper to cover the directions except the one being worked on, or use sticky arrows. Point the arrow toward the step you’re working on. Once that step is completed, move the sticky arrow to the next one. Be consistent and repetitive. I can’t say that enough, except to say be patient and laugh. Learning to cook takes some time, but it’s rewarding and fun. Remember to always follow the same steps in the same order: Read the recipe, gather the ingredients, then gather the equipment. If you are using sticky arrows or paper to help follow the directions, have them ready. Repeat the recipe a few times until your child is able to make it easily without help. Remember to laugh and give lots of praise. Give your family a heads-up on what’s coming so they are ready with the “Wow, that’s great” comment. And yes, there will be spills. Just remember to giggle and have your child join in the cleanup. 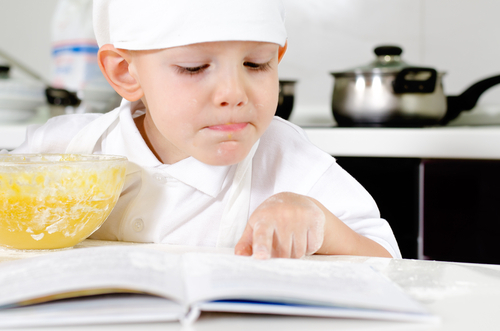 It’s all worth your time and patience to help your child become independent in the kitchen. It will build their self-esteem and self-confidence, and together, you’ll have fun!